Having a vacation in a faraway place gives comfort and relaxation to everyone. Travelling excites us that sleeping before the trip sometimes is not an option. Everything is already planned, everything is packed and all you need is be on the trip for the vacation. All of the vacationers want to be away from the pressure and stress of the work including the annoying deadlines and bosses. For the student having a break on the books and academic stuff like projects and assignments that school requires them to do satisfies them. No matter what plan you made having a travel bag is required. It is your luggage that you place all the things that you need in the vacation. From the dress, the shoes and the personal thing that traveling requires you to bring. Having a problem with the choice of the bag that is perfect on your vacation? Never to worry about the matter. VANGOSEDUN has a variety of collection that will suit your need and adds fashion whenever you go. The VANGOSEDUN alligator and crocodile bag are perfect for you and with bonus suggestions that will help you in choosing the best type of crocodile bag that is right for your travel. Below is the reason why VANGOSEDUN Alligator Bag is the top bags that you need on your vacation. 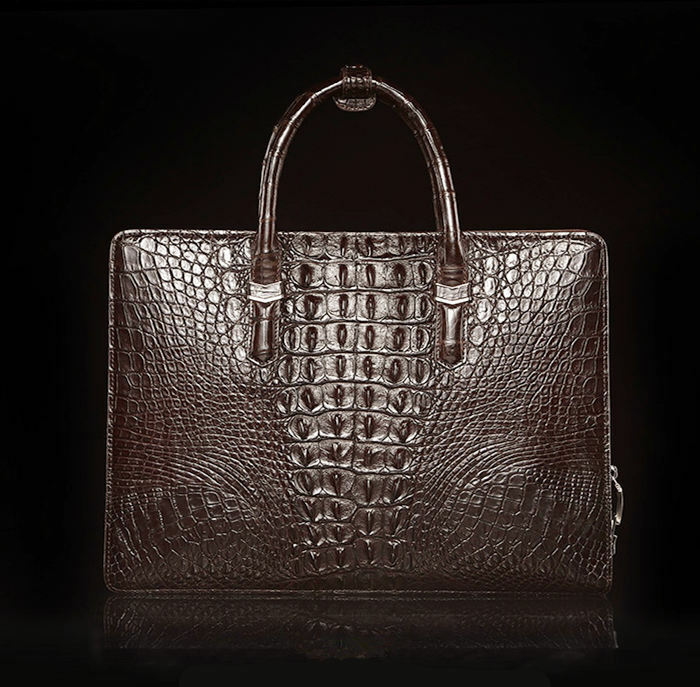 VANGOSEDUN assures that the material they used in the manufacturing of the bags is from a genuine skin of alligator and crocodile. They don’t do artificial material in the bags they sell in the market. 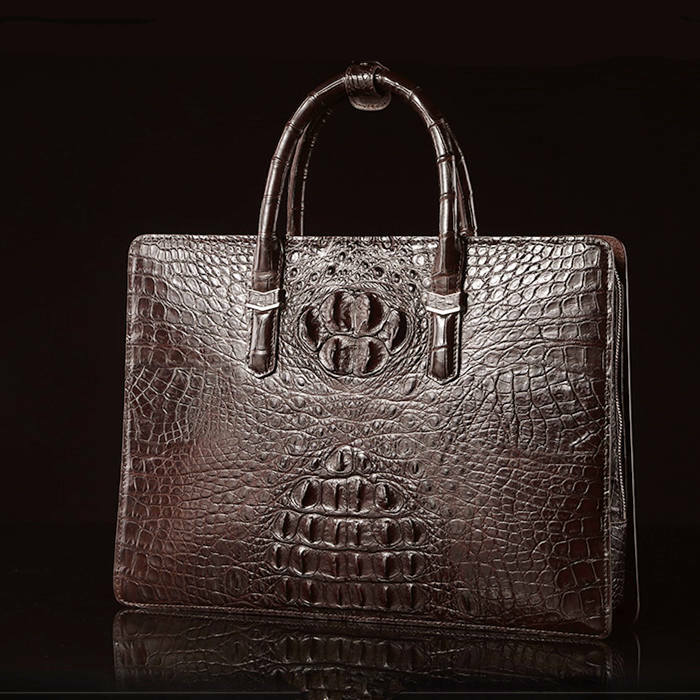 Since the bag is made in a genuine skin of alligator and crocodile it has a unique pattern. It is proven the identity of alligator and crocodile don’t have the same patterns. They use the skin pattern to identify every reptile they have. You don’t have to worry about having an identical bag because there is no possibility that you can find the same pattern in the skin of the alligator and crocodile. Bag of the VANGOSEDUN is made in a true alligator skin and they made the bag with bare hands or handmade. With this, you can assure that the bag is well made with care. The bag VANGOSEDUN doesn’t need washing. The only way to clean the bag is by means of polishing with a special liquid. Just pore a small amount in a cloth and wipe the bag. Since it is proven to have a long service through time, you don’t need to buy another bags for travel. It may be expensive but the quality if the VANGOSEDUN is proven to have long-lasting service. VANGOSEDUN Alligator Bag is the top bags you need for your vacation. You can put everything you need for your vacation. There is a variety of style to choose and colors that will match the thing you are looking for. Tags: leather briefcases, leather backpacks, leather handbags, leather duffle bags, leather laptop bags, leather messenger bags, leather travel bags,leather apple watch bands, Italian leather handbags, Italian leather bags, leather watch bands, crocodile bags, leather totes, leather belts, leather satchels, leather clutches, leather purses, leather wallets, genuine crocodile handbags, genuine alligator handbags.